The STIHL electric shredder GHE 355 L handles both larger quantities of hard tree cuttings as well as softer plant trimmings and garden waste. Its powerful motor and sandwich-type blade unit also demonstrate their qualities in regular use. The BRS (Bladerotation Reverse System) reversal mechanism allows you to adapt the blade unit of the garden shredder to the current clippings in no time at all using a rotary switch. Clockwise cutting blades cut hard shredding material into wood chippings, while anti-clockwise shredding blades shred green garden cuttings into compostable matter. The large feed chute is located at a comfortable working height. You can easily feed branches with side shoots as well as large quantities of clippings into the wide feed chute, where they are smoothly drawn in and quickly shredded into fine particles by the machine. 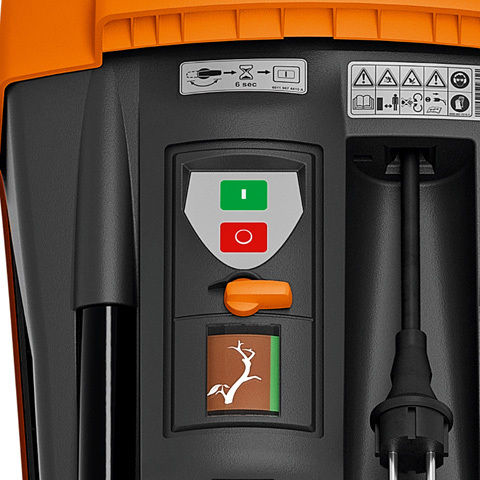 The large feed chute facilitates feeding of the STIHL shredder. The soundproofed feed chute reduces working noise when shredding in the garden. 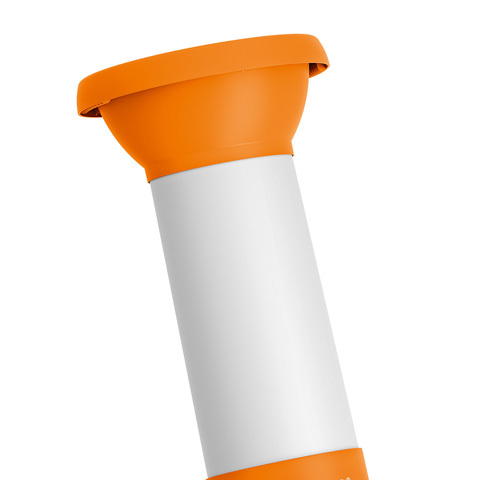 The integrated spray protection provides a shield against swirling dirt. 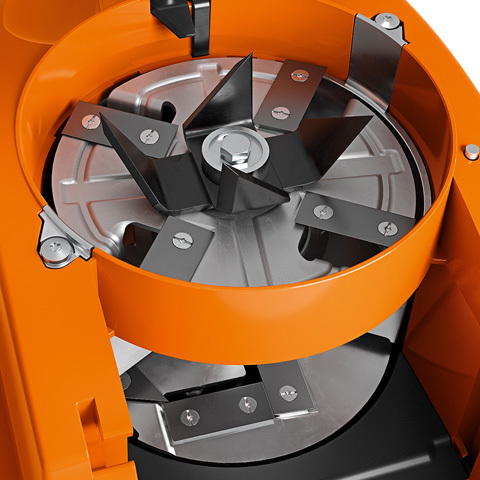 The special sandwich-type blade system on the STIHL shredder shreds the material with minimal vibrations. Additional wing blades and ripping blades shred the material perfectly and ensure the shredding chamber remains clean. 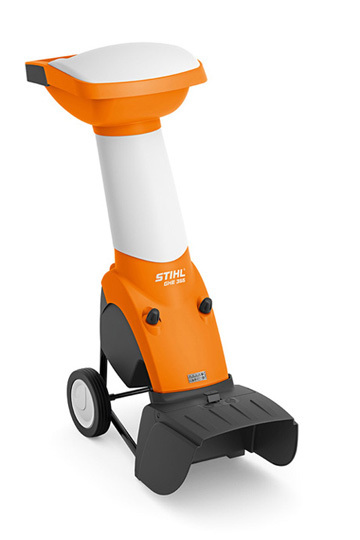 The rotation direction of the blades on this STIHL electric shredder can be reversed easily using a rotary switch. The blade rotation reverse system (BRS) activates specific blades. In a clockwise direction, sharp blades shred hard and woody shredding material. In an anti-clockwise direction, blades shred soft plant trimmings into compostable material. The system allows you to shred large volumes of material while helping maintain the sharpness of the special blades for longer. 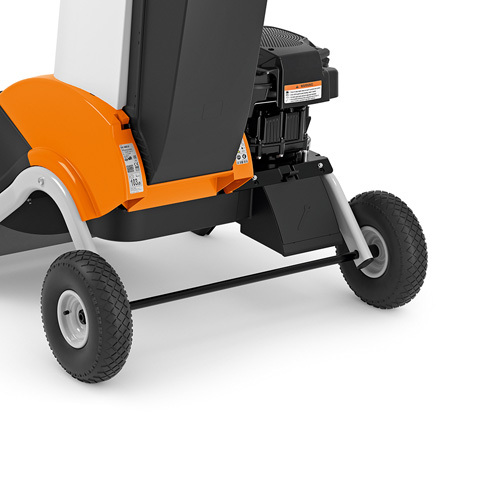 The wide chassis ensures good stability of the STIHL garden shredder during operation and facilitates transport of the machine.